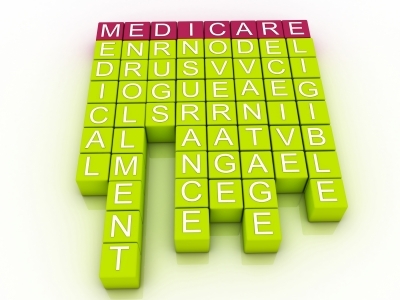 There are changes that will be coming in 2016 concerning the way Medicare will pay for medical services. On February 20, 2015, the Centers for Medicare and Medicaid Services (CMS) asked for public comment on its proposed changes to Medicare Advantage (MA) plans and Part D Prescription Drug Programs. The goal of the changes is to pay providers based on the quality of services they provide and not the quantity. Specifically, CMS states: “The proposed changes reflect the commitment to a Medicare program that delivers better care, spends healthcare dollars more wisely and results in healthier people.” The ultimate goal is to reward providers who consistently offer high-quality care. The changes are expected to “enhance the stability of Medicare Advantage program and minimize disruption to seniors and care providers." The proposal in its entirety with 172 pages of attachments can be found here. To make certain that MA plans have updated and accurate provider directors available to all enrollees so, when choosing an MA plan, enrollees know which providers are part of the plan they are considering. For CMS to work with Part D sponsors to make certain that affordable coverage is offered to Medicare beneficiaries. To place an increased value on in-home assessments in order to coordinate care, improve the outcome of the health care provided to beneficiaries and support care planning. There will also be changes in payment which will affect each plan differently depending on various factors. For example, plans that have improved the quality of care and patient satisfaction will notice the greatest increase. Overall, providers should find their compensation for services to plan members is greater than compensation for traditional fee-for-service billing programs. In April 2015, CMS will announce the specific changes that will apply in 2016. This will include capitation changes MA plans can expect along with details of the methods used to calculate them. Providers of Plan D programs will also learn of the new benefit parameters for the standard program. Healthcare Information Services, Inc. provides practices, with a focus on radiology and orthopedics, expert revenue cycle management services. With that, HIS assists with compliance with CMS requirements whenever changes, such as the ones for 2016, are put in place.